Our schedule was a bit thrown off this week, since Froggy was home from school for Memorial Day on Monday. So AP2 took Froggy on a German date today. We still have plenty of space materials, so that was once again the focus. This time, they started off by reading some pages from a space book. It’s called Weltraum. Sterne und Planeten, and it’s from the series “memo Kids” (Dorling Kindersley, 2014). AP2 had to help with some of the reading, but I understand it went very well! She was able to explain the words he didn’t know in German. German Date #4: More Space! He worked through 4 or 5 pages of the book. Hippo and I happened to crash their date at the last minute, so I got to see some of it in action 🙂 AP2 was doing a lot of the reading, but then we got Froggy to read out loud, too. The workbook provided some good challenge with a number of words that he didn’t know. The workbook we used is called Mitmach-Heft Weltraum (Was ist was Junior) (Tessloff, 2016). I bought it on Amazon.de for about €5. I hadn’t had time to create anything snazzy before I picked up Froggy from school. So while we dug into our fro-yo, I whipped up a quick worksheet to go with some stickers I’d picked up at the craft store. The planet stickers are by Mrs Grossmann’s. They come with six planets, so I created questions to go with them. We also used the activity as an opportunity to practice German letters. Once Froggy came up with the answer, I spelled the planet in German for him. Those vowels get a bit confusing! I tried to get him to play Hangman (Galgenmenschen) with me as well, but I couldn’t persuade him. It would be another great way to practice those letters! Instead, we brought out the Space Cards again. This time, we played Fische! (Go Fish!). We used two sets of the cards. He chose to use the set with pictures and words plus the set with just pictures. I think it might have helped to put out the set with pictures and words, since I’m still learning which planets are which! Then we could have matched picture cards to word cards. But the game still was lots of fun. We played twice! Here you can see my hand, the deck of cards for “fishing,” and Froggy’s matches. This was the second week in a row that Froggy and I went on a German date after school. We went for frozen yogurt at a place that was pretty empty and chose a nice big table to play a space game. 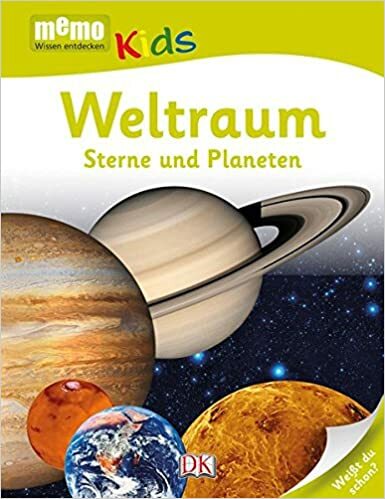 Today it was Weltraum Memo (Space Memory). At first, he tried to back out of it, saying he’d rather go home and watch something. But then I offered fro yo (ehem, I mean “ice cream”) instead of hot chocolate, and he was game (excuse the pun!). Froggy & AP2 came up with a new version of the game, since there are three of each card (one with picture & word, one with picture, one with word). They used the cards with both picture and word as the “control”. Those cards were dealt evenly between the two of them and laid out in front of each player. The remaining cards were turned over, as usual. Players took turns turning over two cards at a time to find a match. But! You could only keep the cards if the set matched one of your own control cards. For example, if I had “der Mond” and Froggy turned over the match for “der Mond,” he could not keep it. I would have to remember where it was on my turn and collect the match myself. You can find the cards to download and print on this post. In another attempt to use more German with Froggy, we’ve started a German “date” after school on Mondays. Last week, we went to a cafe for some hot chocolate (even though it was early May, it was still unusually chilly!) and sat at a big table to play a space game. There is also a set of cards in black-and-white with the image, word, and space for children to write. The game itself is simple, yet fun. Print out the game board and mini cards with the same images. Cut up the mini cards. Use a game piece (also included as a mini card, but rather large for the game board, so I may just use one of our own game pieces next time) to move around the board. Draw cards to see which space to move to. And of course, have the child say the word that goes with the picture! But watch out – if you get a star, you must go to that colored star, even if it means moving backward! Froggy really enjoyed the game, and he was using all the space words! My 6-year-old is really into space these days! The other day, he found some German Memory cards in my office and wanted to play. He really enjoyed it 🙂 So I decided to make a space-themed German Memory game. You can mix and match them however you like! I created the images in full-sized 8 1/2 x 11 sheets, so you can use them for posters. Or just print 4 or 6 to a page to created smaller cards. Print on cardstock or on paper that has a pattern on the back side, so that the images don’t show through! I printed the cards 6 to a page, and the size was perfect. Kind of like playing cards. Update May 16, 2016: I just discovered a mistake on one of the cards, so it is now updated!